* @param string $filename Filename without the extension. DRY: The script manager allows you to re-use and output the script in various places of your code. Integrations: The script manager allows for anyone to integrate, optimize, and build upon your script. Prevents Duplication: A script using the script manager will only be printed on the page once. Client Focused & Client Friendly: It allows your customers/clients to remove the scripts easily. If you are using any of these, please use the WordPress core version. It ensures the best experience. Many developers do not like the second reason. They want to control every aspect of their code because they are afraid that their client/customer or another developer will break their plugin. However, to me, this is not a good reason. If a customer/client breaks the plugin/site because they chose to copy/paste code and place it in their functions.php site, it is their fault, and they can pay you to fix it. But by providing the client/customer code that is changeable, it makes you look like a better developer, and you will have return customers/clients because they can trust that you have their best interests in mind. Plugins like WP Rocket and other optimization plugins can detect and handled registered scripts much easier than functions that echo script elements at random places throughout the document. WordPress filters, like script_loader_src and script_loader_tag, can be used to amend how one or more registered scripts are loaded in the DOM by amending the tag attributes (see below for the advanced examples), and finally other scripts can use those scripts as dependencies themselves. By using a script manager, WordPress tries to prevent duplication of scripts. For example, if one plugin outputs underscore via a script tag and the other developer uses WordPress’s version, then multiple underscore scripts will be printed on the page, which obviously will lead to problems. wp_register_script($handle, $src, $deps, $ver, $in_footer) takes a couple parameters which are obvious: $handle (slug) $src (the script URL), $in_footer (whether to output in the head or footer). It is always recommended that $in_footer be true unless (1) there is a very specific reason for the script to be in the head (other than “my code doesn’t work in the footer”) or (2) you use defer. Two really good examples are Google Analytics and New Relic—both require to be run in the head at the top. IMHO Google Analytics should have the async attribute added to it. The two remaining parameters—dependencies ($deps) and version ($ver) are more fascinating. The resulting filename will be something like myscript.js?ver=1.0.0-1528229721. This will make it easy to identify the version of the plugin while also ensuring that the correct version of the script is on the frontend. Even WordPress.com does something similar outputting files with the version of the file and a date (e.g., https://s1.wp.com/wp-content/js/mustache.js?ver=6.1.1-201824). Finally, $deps are really cool because when I output the file, WordPress will also output all the dependencies without me having to do it…but more on that in the next section. // Assumes the JS file is located in the js folder within the theme folder. * @param string $filename Filename. * @param string $theme_relative_path Relative path to file within theme folder. // Assumes the JS file is located in the js folder within the plugin folder. However, actually deregistering a script can be quite tricky. The main problem with deregistering scripts is deregistering AFTER it has been registered. For plugins, this is why registering a script and enqueueing (or just enqueueing) a script in the same function (without a do_action between them) is an unfriendly and bad idea. This last one looks that most right but the problem is that they both are hooked at the same priority and there is no way to hook in between the functions to do anything. This way, I can hook in between the functions within wp_enqueue_scripts hook to make any changes necessary. If you want to re-register the script with different arguments (primarily $src URL). If you want to ensure the script never gets placed on the frontend period. Warning: Whenever you deregister a script (e.g., myscript) without re-registering a new version of that script, any script dependent upon that script (e.g., myscript) will not output either. This function within functions.php will cause plugin-script and plugin-script-ext NOT to be placed on the frontend either because the WordPress script manager assumes that since plugin-script and plugin-script-ext are dependent upon plugin-script-base, they also won’t work if plugin-script-base is missing. So WordPress will not output those files. Other themes/plugins depend on the same version of that script WordPress provides, so you may break the theme or plugins accidentally. So if you deregister it and register your own (even if the same version), when WordPress upgrades that script (i.e., jQuery), it could break everything. Alternatively, if you deregister jQuery (for example) and register another specific version (older or newer), then you may break current plugins. WordPress may upgrade that script for security reasons and now you have opened a security hole. 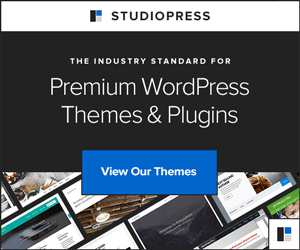 This will cause a massive amount of support requests if you sell a premium theme/plugin and cause harm to your brand/reputation. Or, you may not even be around to fix the problem for your client. This is not client/customer friendly at all. As a developer, we need to get over our own opinions that using a CDN version or a specific version of a script is better and accept this part of WordPress and the WordPress ecosystem. Simply, play nice! So far, we have only properly registered (or deregistered) the scripts within WordPress but that does not output the script tags on the frontend. To output the scripts on the frontend, you need to queue the script to be outputted by the WordPress script manager. To do this, you will need to use wp_enqueue_script. Registers the script if it has not been registered already. Outputs any files on the frontend during the wp_head hook via print_head_scripts (which calls wp_print_scripts hook) and wp_footer hook via _wp_footer_scripts which calls print_late_styles() and print_footer_scripts(). Again, please note that the string properties are camelCased. So, if you want to “expand” an object, it is better to create two objects (until WP_Scripts expands its capabilities). // Create base object for pluginScriptExt object. It is important to note that the script should either be registered (via wp_register_script) or enqueued (via wp_enqueue_script) before it can be localized. 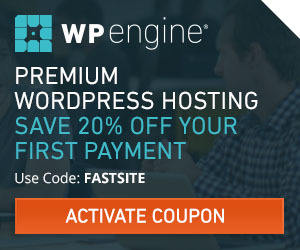 To do this properly within WordPress, you need to use wp_add_inline_script. * Register my frontend scripts. If you use wp_localize_script and wp_add_inline_script, wp_localize_script will always output before wp_add_inline_script. Using wp_add_inline_script is a great way to keep your code clean using native WordPress functions and the script manager avoiding yet another hook and manually outputting this yourself. It is important to note that the script should either be registered (via wp_add_inline_script) or enqueued (via wp_add_inline_script) before it can be initialized. Extending the previous Waypoints example, let’s only do something if waypoints is not already registered. You do this by using wp_script_is. wp_script_is is quite powerful in debugging scripts and in trying to find when a script was registered, enqueued, and printed on the page. For example, with wp_script_is( $handle, 'enqueued' ), you can know that you can either deregister (if false) or dequeue the script (if true) in order to prevent that script from being printed on the page. WordPress does not automatically add async or defer to your script tags, nor is there an “easy” way to add it to the script manager (which is still being actively discussed in core (tickets 22249 and 12009). To improve the performance of the page, you need to add these yourself. You can do this by using the script_loader_tag filter, which gives you the HTML of the script being printed on the page, including the conditional HTML and any added inline script. * Filters the HTML script tag of an enqueued script. * @return string Modified script tags including `async="async"`. If you use the Genesis Framework, this is already built-in for you. All you need to do is register your script with either ?async=true or ?defer=true and Genesis will automagically add async or defer to the script tag for you!! You can use the script_loader_src filter to cache bust everything. DO NOT USE THIS IN PRODUCTION. * Cache bust all the scripts. * @param string $src Script loader source path. * @param string $handle Script handle. Registering and Deregistering Scripts: Use wp_register_script to register a script on init hook and wp_deregister_script only if you plan to register an alternative to avoid any unintended effects. Enqueueing and Dequeueing Scripts: Use wp_enqueue_script to output the script on the page and wp_dequeue_script to prevent the script’s output. Localizing Scripts: Use wp_localize_script to output any configuration and translations of any strings used within your script. Initializing Scripts: Use wp_add_inline_script to add additional inline scripts to initialize external scripts or any thing else than adding a configuration object. Modifying Script Tags on Print: Use script_loader_src and script_loader_tag to make more advanced changes to the script tag including adding attributes like async or defer, which Genesis makes easy for you. Thank you to both Gary Jones and Mike Hemberger for pre-reviewing and providing some great insights!